MVP announced that SMART Offers FREE Internet for Postpaid, Broadband Subscribers starting October 3, 2014. Even you're availing the plan of Smart Talk N Text you can still have free internet and the promo extended until January 2015. 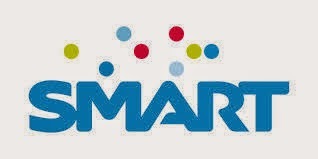 MANILA, Philippines – Postpaid and broadband subscribers of Smart Communications Inc., Sun Cellular, and Talk 'N Text can now use the Internet for free starting Friday, its chairman Manny Pangilinan said. The announcement came a week after its free Internet to prepaid subscribers was launched. On his Twitter account, Pangilinan also said the promo has been extended until January 5, 2015. “[Thank you] for the overwhelming response to #SmartFREEInternet. Our early Christmas gift to our loyal and new subs – offer now extended to Jan. 5,” Pangilinan tweeted. “Even better – free Internet now open to ALL prepaid, postpaid & broadband subscribers of Smart, TNT 7 Sun #smartFREEinternet for All,” he added. Smart, Sun and Talk ‘N Text are also offering unlimited Facebook access, including sending messages via Facebook messenger and viewing of videos embedded in the social networking site, as well as all-day Wikipedia access on top of their daily 30MB free data allocation. Smart, Sun and Talk ‘N Text can now browse websites, send and receive emails, use mobile apps, and shop online without incurring additional data charges. "This is our way of thanking our subscribers as well as a response to the requests of our postpaid and broadband subscribers to be included in the special offer. It is part of our overall strategy in accelerating mobile Internet adoption and usage in the country," said Charles Lim, Smart executive vice president and head for wireless consumer business. To avail of the free mobile Internet offer, subscribers will have to maintain an airtime balance of at least P1, or be subscribed to any load bucket/promo. They can register for free each day by sending “FREE” to 9999. An SMS confirmation will be sent upon successful registration. Once registered, subscribers can enjoy a free data volume package of up to 30MB per day. However, data charges will apply to peer-to-peer uploads and downloads, videos (unless embedded in Facebook), VOIP and messaging (except for Facebook messenger). On Friday, Globe also announced that it will again be offering free and unlimited access to Facebook to its postpaid, prepaid, and TM customers.